Today, we turn to a more positive tradition here on Freezenet. We start the new year on a positive note by counting down what really earned high praise all year in 2016. Yes, this is the top 10 best games we’ve reviewed in 2016! Yesterday, we ran through the top 10 worst games we’ve reviewed in 2016. With some bad memories behind, we now look towards more positive thoughts in counting down what games really earned praise this year. 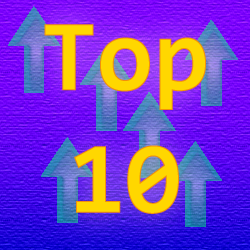 You can check check out the top 10 list of 2014 and top 10 list of 2015 if you wish for a refresher on what earned high praise in previous years, or you can read on for the top 10 games we’ve reviewed in 2016. 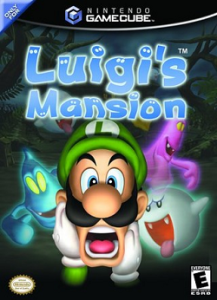 It’s often tradition that a game system from Nintendo starts off with a Mario game, but for the Gamecube, Nintendo took a risk and decided to launch it with Luigi’s Mansion. You have to admit, that risk paid off because this game just clicks. 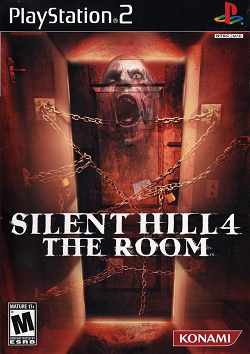 Even with the horror elements, this game is filled with rather humorous moments and interesting puzzles. It’s not a typical concept to have horror mixed with a Mario-related game, but it works so well here – so much so that it earned a spot in the top 10. To be honest, I was seriously wondering when I was going to play a Silent Hill game that didn’t have a broken camera system. Then, I played this game and through my hands up in the air in excitement when I played this game. Not only that, but this game even does some unique things to the series where you are actually trapped in an apartment building. The creepiness, the puzzles, and the adventure elements really worked well for this game. A very solid game. 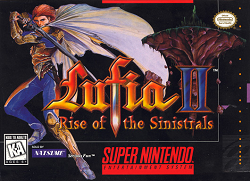 I can already see Lufia fans nodding in approval at seeing this game make the list. After playing the first game in the series, I honestly wondered why people don’t talk about it as much as this game. Well, I played this game and I can say that this game takes the series to new heights. It takes many standard RPG elements and builds in interesting puzzles and an intriguing storyline. The great music and graphics didn’t hurt either. Definitely a top 10 worthy game to say the least. Sometimes, I find myself wondering if I have inadvertently turned the Atari 2600 system into a platform for terrible games. Would an Atari 2600 game ever find its way onto a top 10 best games list? Finally! For the first time ever, an Atari 2600 game made it onto this list. This game takes the technology of the Atari 2600 platform and turns it into a surprising gem. 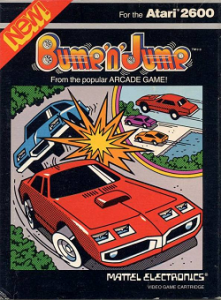 Yes, I finally found an Atari 2600 game I truly enjoyed wit this top down racing game where you can bash your opponents into walls and make long jumps across obstacles. What great fun! Maybe I have a soft spot for combat racing, but this game is about more than taking out your opponents as you race to a finish line. This game also incorporates snowboard cross racing and creative cartoon style of play that just makes me want to keep playing. The multiple modes of racing worked really well and the game ends up being both approachable and challenging at the same time. A worthy entry on this list to say the least. Let’s face it: when the SNES version made the top 10 list last year, you knew that it was only a matter of time before the N64 version would pop up on a future top 10 list. This is one of those games that just about every gamer has at least heard of. It’s with good reason. The game takes what was innovative and great about the SNES version and took it to a whole new level on a whole new system with much better capabilities. Between the memorable music, great tracks, and an overall level of fun and excitement, this game is almost a requirement for any gamer. Zooming in to take the number 4 slot is yet another game that is seemingly obvious to insert. 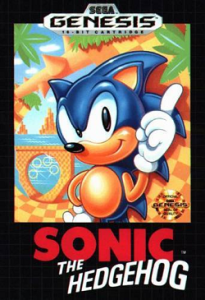 This game was meant to compete against Mario when Sega produced systems and it was an excellent game to put a whole company behind. This game combines high speeds, loops, collecting, and white-knuckled action that is truly worthy of being remembered. An absolute must-play for Sega fans. Hail to the king baby! Yes, the PC version was a fantastic play, but this port also did a fantastic job of showing what the Duke is made of. 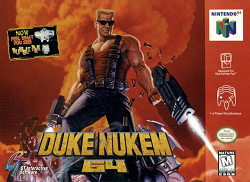 Not only does this port feature many of the great features that made the PC version rock, but also expanded on it by adding whole new areas, weapons, ammo, and the ability to actually save those babes. Even with no real in-level music, this game is still a blast to play. 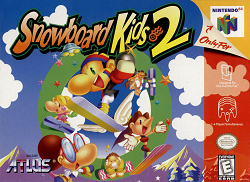 The one and only sequel to the original Snowboard Kids. 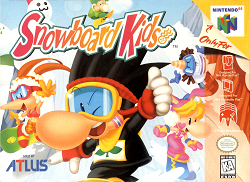 This game takes what made the original Snowboard Kids got right and makes it way better. 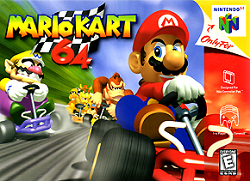 With the addition of a good storyline, way better music, outrageous bosses, improved stunt system, and great environments to race through, this game is an absolute dream to play through. 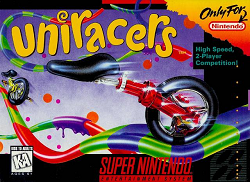 A real amazing start to what could have been an amazing franchise, Uniracers life was maddeningly cut short by a bad copyright ruling. Even still, it’s difficult to fathom how it’s possible to cram so much awesome could be stuffed into a little SNES cart. Complete with a fantastic rock soundtrack, high speeds, dizzying stunts, and both easy and challenging courses, this game pretty much has almost everything you could hope for in a racing game. I have no doubt in my mind that this was the best game I’ve played all year. Roll that celebration music! What? There’s more? Yup! There are a couple of games that are worth mentioning even though they just missed the list. Can you save the princess? No, this isn’t another Mario game. Instead, this is an intriguing adventure game complete with sword fights, deadly traps, and a tension filled time limit. Even if you are unlikely to complete this game, this is still quite a fun and challenging game to play. An RPG with an interesting twist to levelling – there are no levels! Instead, you actually build up individual stats based on use. An interesting twist to an already interesting RPG game. This remake is certainly worth playing. Perhaps what may be the most controversial addition to this list, this game is either a big game or a major fail depending on who you ask. For me, I thought this was a great win. While not a perfect game, this game still features an interesting two character party system, adventure elements, and quite the great soundtrack. I don’t care if you groan, I liked it! Another year of gaming done and dusted. With so many great games played, we’re actually looking forward to what 2017 has in store for us! Join us next year as we do these lists all over again. Stay tuned for tomorrow as we count down the final top 10 list: the top 10 best music tracks of 2016!